Much of the shape and feel of this site is inspired by other hiking websites I enjoy, and hopefully imitation is the best form of flattery. See the links page under Other Stuff for examples of some excellent sites. 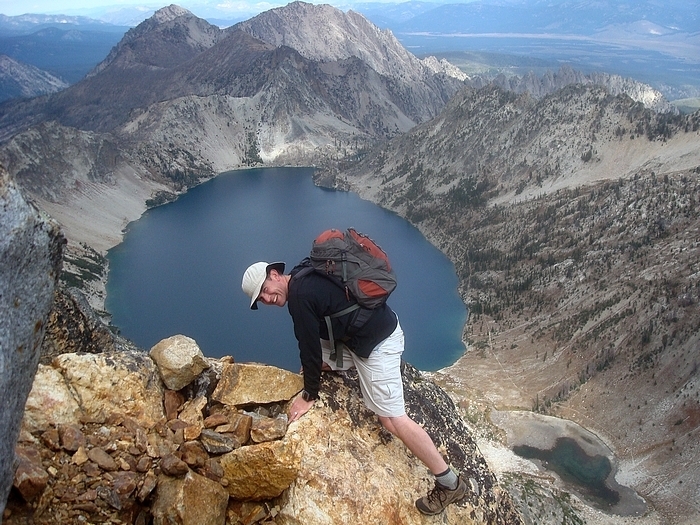 I'm been blessed to have grown up hiking and backpacking here in Idaho. Lately I've been spending quite a bit of time scrambling up mountains. I really enjoy bagging peaks, and its become a year round hobby for me over the last few years. Winter snowshoeing, snow-climbs in spring and early summer, and then hiking and scrambling during the fair-weather months. I love mountaintops. The views are great, and there's something very rewarding about setting a summit goal and reaching it.